Vancouver is easily accessible from major U.S. and international destinations via one of the most acclaimed and efficient airports in North America. And once you get here, you’ll find yourself in the heart of a dynamic, Pacific Rim city with immediate access to more than 13,000 hotel rooms along with a wide range of restaurants, retail areas and entertainment. VANCOUVER is surrounded by ocean on three sides, with the Coast Mountain Range alongside it. 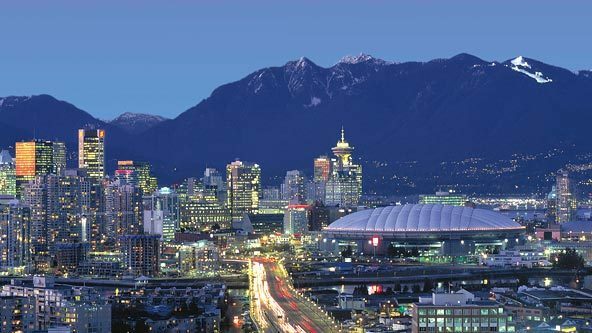 Vancouver has a bustling metropolitan core, fantastic scenery and one of the mildest climates in Canada. Vancouver has over 190 parks and an up to date transportation system including water taxi's. Whistler is only a leisurely two and a half hour drive from Vancouver.